As Jeff Edelstein reports in a resulting editorial in The Trentonian, “To be clear, in case there’s any confusion, and… you know what? There’s no confusion. A Dunkin’ Donuts employee is in charge of making sure the doors to the lobby of the train station get opened each morning.” The company goes by Dunkin’ now, but still: This seems like a lot of pressure to put on the “time to make the doughnuts” guy, who should be busy getting all of that vital coffee ready before the morning commute. 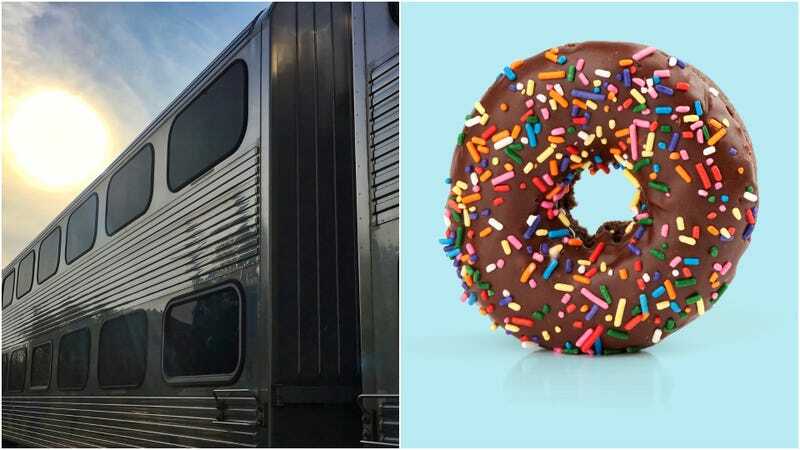 NJTransit’s TB tries to explain that this task was included in Dunkin’s contract when they moved into the train station, but it still doesn’t seem to make a lot of sense. Going to go out on a limb and predict that the NJT will soon assign an actual transit employee to open the train station doors from now on. Then again, given NJTransit’s sterling reputation among Garden State commuters, maybe not.